In anticipation of National Police Week starting May 15, the National Law Enforcement Officers Memorial Fund has paired up with the MLB network to promote Law Enforcement Appreciation Night at the ballpark! 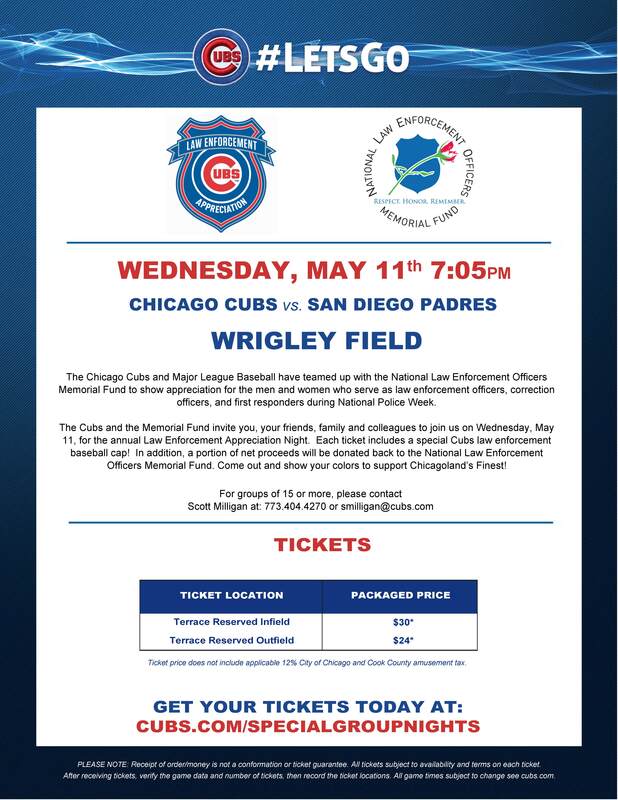 Join the Chicago Cubs at Wrigley Field on Wednesday, May 11 when they take on the Padres for this special night. See details below.